The practice of blood magic is like Mab Prowd was meant to do it. She's good at it, and she knows it. She is quite lonely, but then she does live on an isolated farm in Kansas. Not that she lets this faze her. She'd rather concentrate on what she does best. She is very connected to the land and is able to practice whenever she wants, with only the crows nearby. One day, when she's practicing a spell, a local boy called Will interrupts by getting unintentionally involved. Mab then has no choice but to help Will, who learns about this blood magic for the first time. Corrupted inside by his inner demons, Mab is by his side to help him in every way possible, and they end up being there for each other. A dark character returns from being imprisoned, and Mab feels that in her every power she should help. For poor Will is involved, who Mab has learned to love. With Mab's magic and the help of the crows, can she free Will from evil clutches? 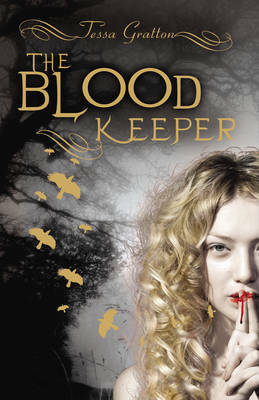 This book is the second from the 'Blood Magic' series. However, only the characters from the first book have minor parts in this story. The book is written from two points of view: Mab's and Will's. It also includes small chapters of a character's words from the past. 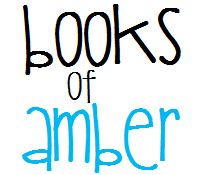 I liked Mab's character in this book because she is a very strong person and sets straight to the task at hand. It's nice that you get a strong heroine leading the story, rather than a weak one. Will has demons in his past. He lost one of his brothers, and his father and older brother want him to follow in their footsteps. I admire his courage and for sticking up for his beliefs and what he wants to do in his life. The ending of this book was quite nice. Having sorted everything, the mood within the characters is calm. The storyline for this book is different from most. It's the first ever book I have read with this sort of theme evolving around blood magic. I wouldn't say I thought it was amazing, and that was the reason I gave it four stars. If you are interested in magic and hidden curses, then I recommend you buy it. Overall it's a good book, and if you purchase it, I hope you enjoy it.